Reaching for gold, Lakeview Cemetery, Cleveland, OH. 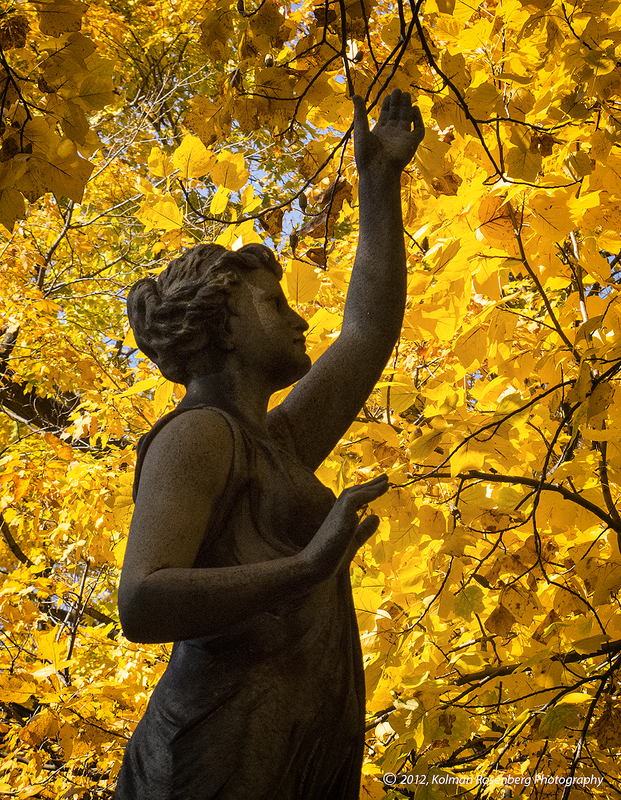 On my recent trip to Cleveland’s Lakeview Cemetary I came upon this statue on a gravestone that, just like me, seemed drawn to the golden leaves above! The fall colors at Lakeview were absolutely breathtaking that day. A few days later, the foliage was basically gone. Fortunately I was there that day to reach for the gold with this statue and managed to grab a bit of it! This entry was posted in Uncategorized and tagged Autumn, Cleveland, Fall, Foliage, gold, golden, grave, gravesite, lakeview, lakeview cemetery, Leaves, Northeast Ohio, OH, ohio, reaching, statue, visit. Bookmark the permalink. How do I contact you for a print of this photo? Beautiful!! Hello Patricia. Glad to hear that you like that photo! If you would email me at kolmanrosenberg@oh.rr.com and let me know what size print you are interested in, I’ll get back to you with pricing info. Then if you want to order I’ll ask you to send me a check or use Paypal and I’ll send the print to you.